Awareness – This content is meant to draw your audience in and create a ‘first impression’ toward your brand or company. Your goal here is to get exposure. It can be as easy as retweeting something interesting and relevant to your industry or original content that is easily shareable. This is where you will get your soft metrics such as shares, likes and retweets to get your brand name in front of people. A great example of ‘awareness’ content would be Dove’s Real Beauty Sketches YouTube video. 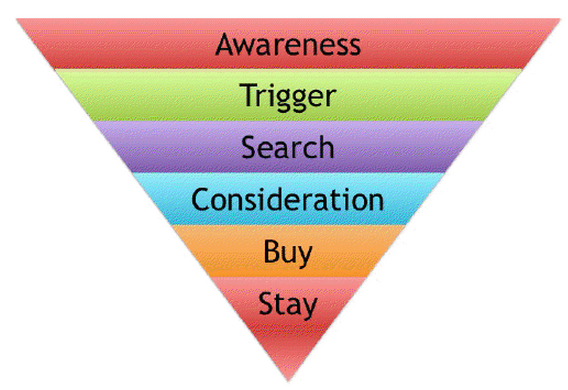 Trigger – Still at the beginning of the sales cycle, this content should trigger an action from your audience. A good way to do this would be to research a current trend or business problem in your industry, work through the problem and offer a solution. The solution should, of course, link back to your product page to get some click-throughs and get your product in front of people. Here is an example from Salesforce about social media listening. The end goal here was to get potential Radian6 clients to download an ebook. Search: This content is meant to answer questions when your audience has decided to begin researching a product or service more in-depth. A great strategy to have is to think of questions that your potential customers might ask and make that the headline of a blog post. That way, when potential customers go to a search engine page and type in questions surrounding your product, your content will come up with that exact question already answered. 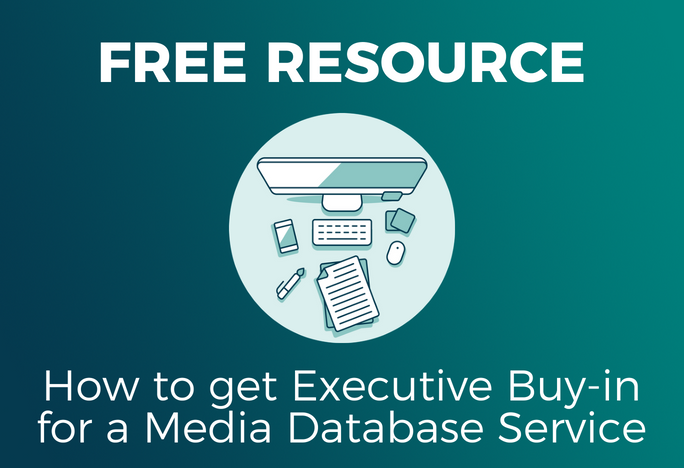 Consideration: This is important content because it is at the most crucial point of the sales cycle; it is when your audience has decided that they need the service that you offer but haven’t decided which brand they would like to use. This is where you need to establish industry value. Your audience has decided they need a product, but why do they need YOUR product? Buy: You have prospects that have already decided to buy your product and want to learn more about new product offerings, partnerships, etc. with this content. This will be more ‘old school’ because you should be describing your product and services. Just be wary of “product dumping” and try to keep it informative and relevant! Here is a good example of ‘buy’ content from Cision’s recent partnership. Stay: Your content here should be focused on the retention of your clients. It can be things such as ongoing webinars that offer training on your product or using social media for customer service. When developing your content marketing strategy, it’s always a good idea to have an editorial calendar to plan what content you are going to produce (you are, after all, a publisher). Plan your content so that you have a good mix of the six types of content, so you can hit every stage of the sales funnel.